After almost a year away from ONE Championship, the long-awaited return of Sam-A Gaiyanghadao is imminent. 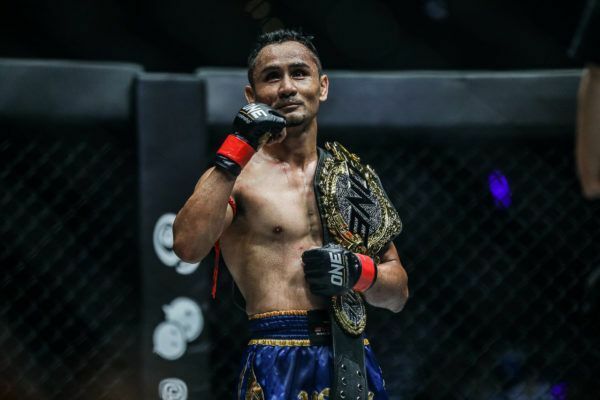 The ONE Super Series Flyweight Muay Thai World Champion is set to make his comeback to the ring in the main event of ONE: FOR HONOR on Friday, 3 May. The Thai legend will defend his belt against England’s Jonathan Haggerty at the Istora Senayan in Jakarta, Indonesia, and Sam-A is ready to put on another memorable performance in front of the watching world. Sam-A's rise from extreme poverty to Muay Thai royalty is the stuff of legend. On 3 May, he defends his most prized possession the ONE Flyweight Muay Thai World Title! “The time off hasn’t affected me. Even though I haven’t fought, I’m still training every day. I also take really good care of my body,” the 35-year-old explains. Sam-A is a multiple-time World Champion in Muay Thai, and is known as one of the sport’s greatest ever competitors – not least because of his unbelievable professional record of 366-46-9. 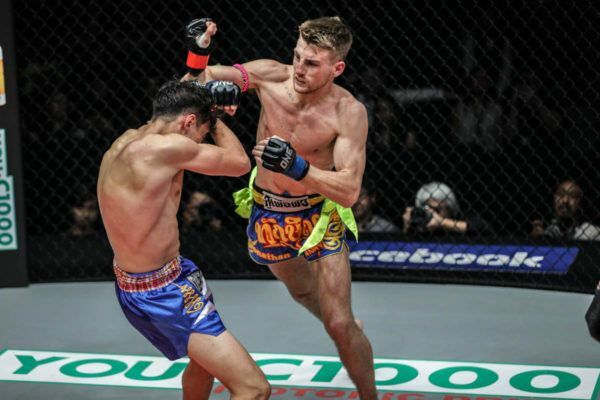 The Buriram native, who now lives and trains in Singapore as part of the Evolve team, has already returned to competition after a lengthy layoff once in the Home Of Martial Arts. He made his promotional debut last January after 18 months on the sidelines, and did not skip a beat as he took out Joseph “The Hurricane” Lasiri in the second round. Sam-A made history that night by winning ONE’s first ever Muay Thai bout. The Thai icon followed that by becoming the first ONE Super Series World Champion when he defeated Sergio “The Samurai” Wielzen by knockout to cap a virtuoso performance last May. Flash: Sam-A's dominant ONE debut! He defends the ONE Flyweight Muay Thai World Title against British phenom Jonathan Haggerty on 3 May! 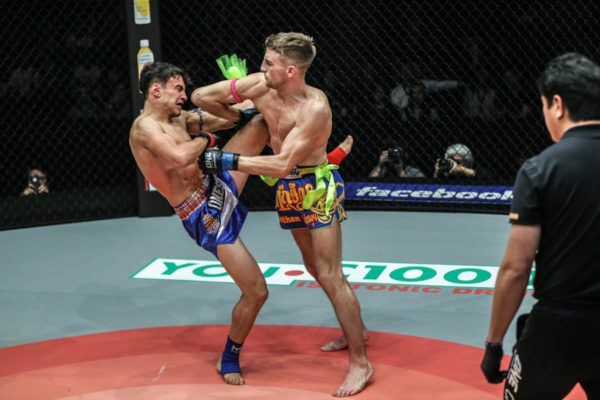 Since then, ONE Super Series has exploded by attracting many of the world’s greatest kickboxers and Muay Thai artists, and Sam-A is delighted to see his national sport be given a platform on the global stage for martial arts. “I’m really happy to see so many Thais in ONE Championship now. It is amazing for so many great athletes to be able to represent our nation on an international level,” he boasts. The only thing that has arguably been missing during the past year of electrifying battles between world-class strikers has been the man who set the stage for them all. Now his return is in sight, Sam-A has thrown himself into his preparation to face Haggerty, a Roar Combat League World Champion who he regards as a dangerous opponent. Muay Thai World Champion Sam-A's kicks are _____ ! “I’ve seen Jonathan fight before – he’s really tall,” he says. He might be wary of his opponent, but Sam-A is supremely confident he will emerge with the World Title around his waist thanks to his preparation. Though he has almost 30 times the number of bouts as his opponent, he stayed humble, increased the intensity of his training, and worked on a game plan with his trainer – legendary World Champion Nonthachai Sit-O. “He pushes me so hard! He still teaches me, and makes sure my technique stays sharp,” Sam-A explains. Sam-A is also kept in peak condition by a hybrid training regimen that consists of the same old-school, Thai-style conditioning he has used for almost 30 years, as well as modern methods. “Monday, Wednesday, Friday we train twice a day – Muay Thai style. Tuesday and Thursday I do strength and conditioning, and on the weekends, I keep active on my own,” he explains. The defending World Champion will need to be firing on all cylinders when he faces Haggerty, who is 13 years his junior, and competes with a relentlessly aggressive style. In January, the 22-year-old looked outstanding as he defeated Lasiri via unanimous decision, and he has vowed to go for the knockout on 3 May. The UNREAL speed of ONE Flyweight Muay Thai World Champion Sam-A, who returns to action on 3 May in Jakarta! However, he will have to overcome the biggest challenge of his career. Sam-A is one of the all-time greats, and he will also push for a stoppage in front of the Indonesian fans. “I anticipate his height will pose a lot of problems for me, but I know for sure that I want to win, and I want a KO!” he adds.